There’s no denying it now – the cold has well and truly set in, and the evenings are getting darker. Hallowe’en is over, and street markets are starting to smell suspiciously like mulled wine, which can only mean the next milestone in the cultural calendar is near: Christmas! But before we get ahead of ourselves, there’s the rest of winter to contend with – it’s a long haul till spring comes around, and you’ll still need a winter hat when freezing January hits. 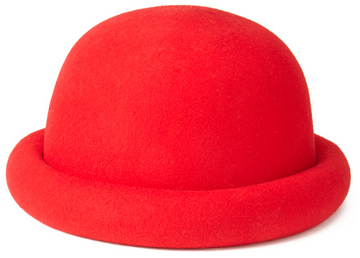 We’ve selected the crème de la crème of high street hats to keep your head snug. Hat hair, don’t care. 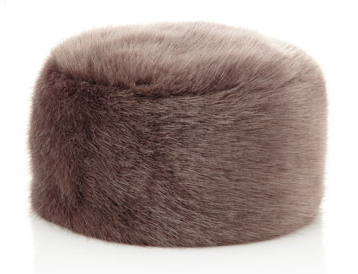 Cosy and neat, this is sure to keep your noggin nice and warm. 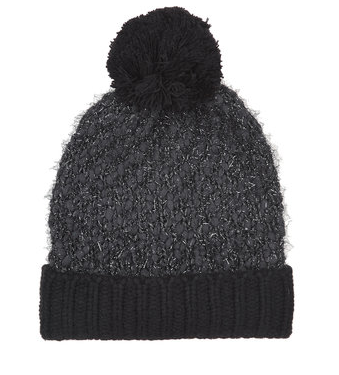 Shot through with metallic thread and contrasted with a thick folded edge, this Topshop bobble hat goes well with anything. 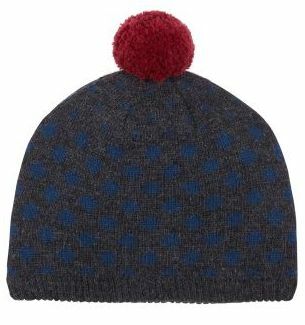 This ribbed beanie by Obey can be rolled up or down, and is a great colour to brighten up dark winter days! 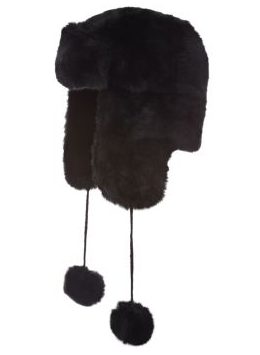 Fur (faux, of course) is very popular this season, so why not add pompoms to the mix? Perfect for the frostiest of days to keep cold ears at bay. 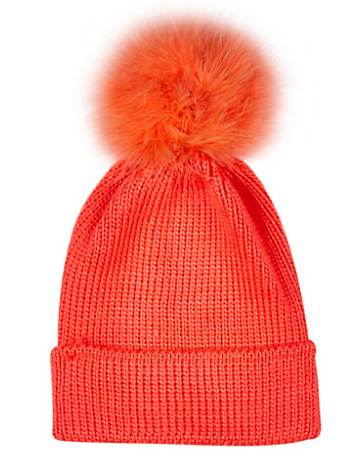 Another fantastically radiant shade for winter, this burnt orange beanie hat comes topped with an irresistible fluffy bobble. 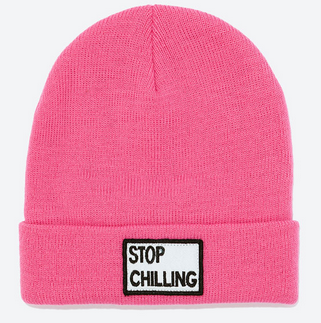 One can never own too many beanies, and this is one of the grooviest tête-toppers. 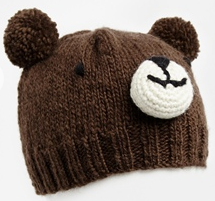 No animals were harmed in the making of this VERY cute hat. 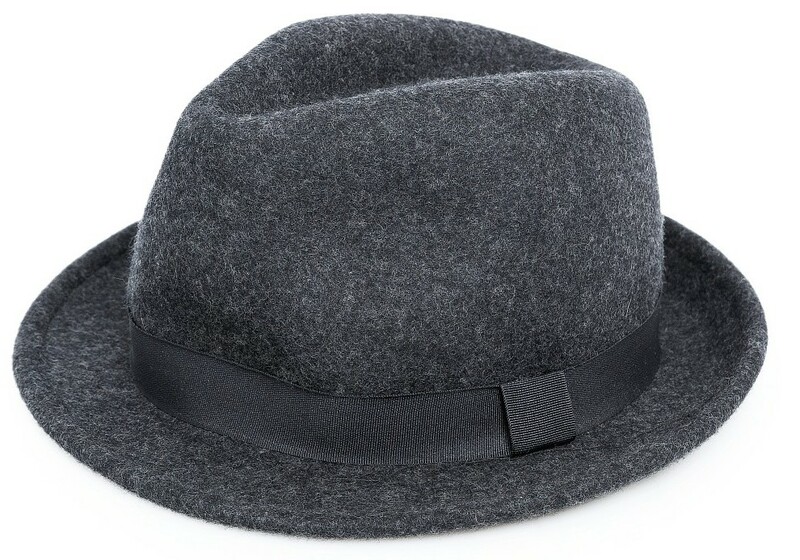 Although it won’t necessarily keep you warm, team this stylish wool fedora hat with any outfit for a shot of sophistication. This lovely wool bowler hat from Forever 21 is the perfect statement piece.